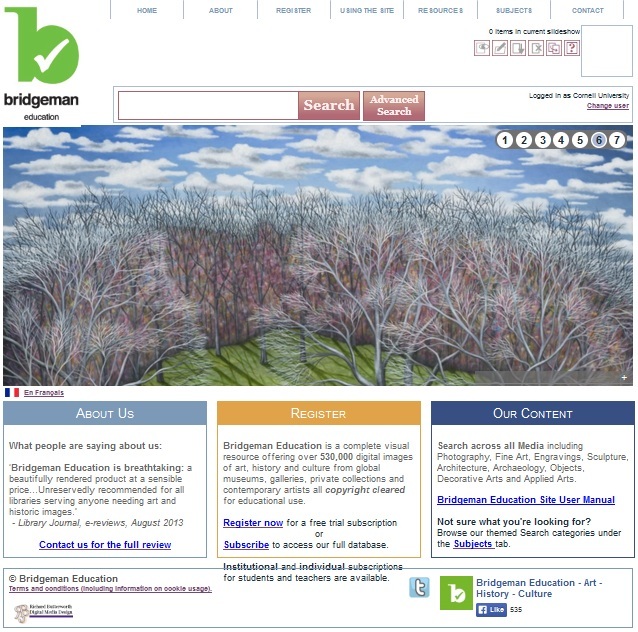 Bridgeman Education provides over 530,000 digital images of art, history and culture from global museums, galleries, private collections and contemporary artists all copyright cleared for educational use. 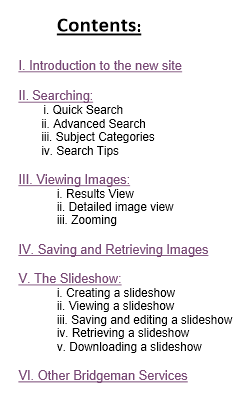 Bridgeman provides a user manual to explain how to search, view and display images. 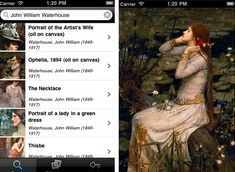 The Bridgeman Education iPhone app allows users to search, view images and their metadata, and create and save slideshows. 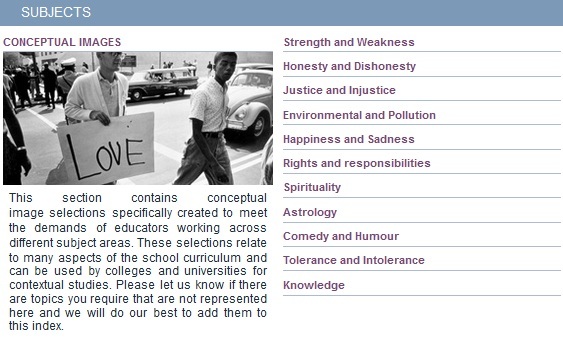 Requires iOS.4.1 or later.